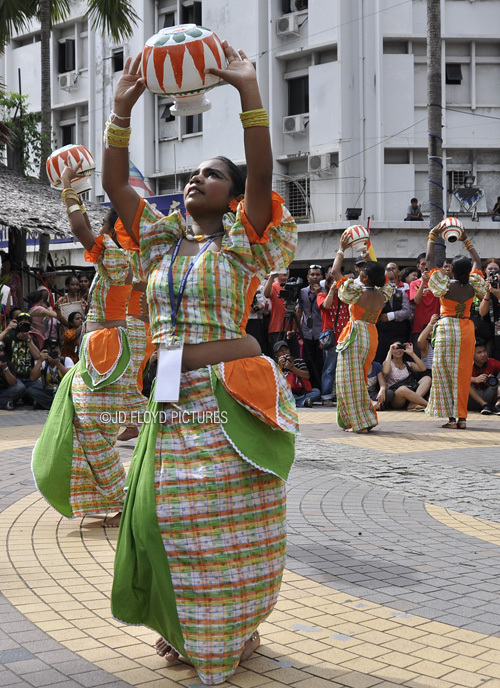 Prelude to the big international event at Sabah Cultural Centre this weekend. 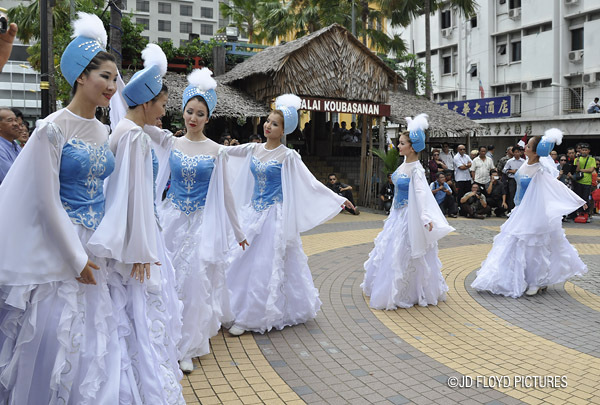 The 2012 Sabah International Folklore Festival (SIFF) participanting troupes are now in town. 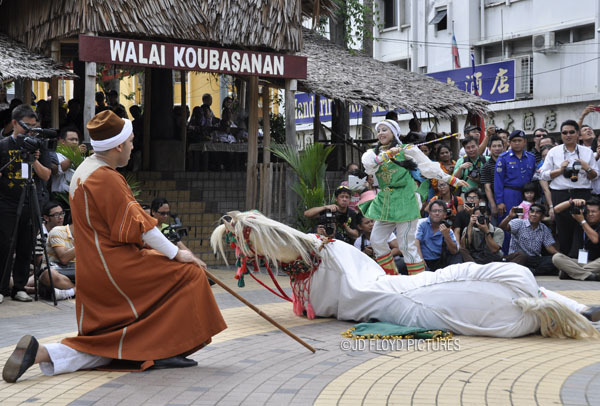 The peak of this most anticipated festival is on 14th - 15th July but for the city folks the international troops did some introductory performances on Tuesday at Lintasan Deasoka, or City Square as some call it. I arrived a little late and by that time the Indonesian folkdance troupe were done with theirs. For more pictures, check out my photoblog. 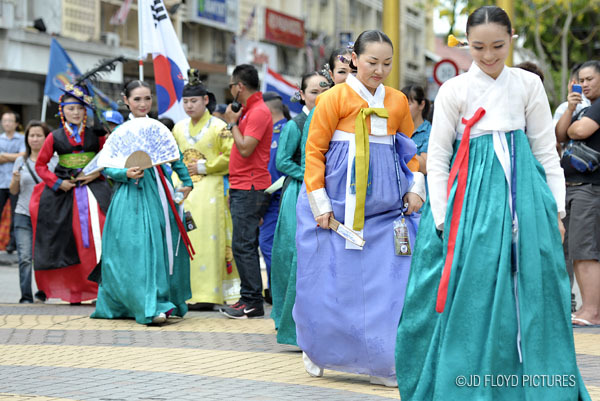 The International Folkdance Competition would be held at the Sabah Cultural Centre from July 14-15. For information on the schedule and tickets & venues, refer here. love the deep glare from the beautiful lady doing the balancing act tu! @sayadankamerasaya - yearly. Been so for few years now. Scheduled after the busy Harvest Festival in May. You got a good seat for coming late. 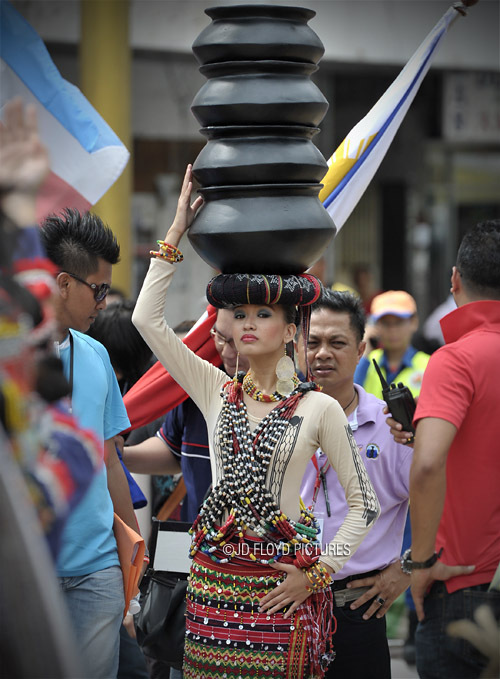 :) The balancing act dancer is impressive.